After almost two years of blogging about my automotive adventures past and present, it’s time to turn the blog in a different direction. 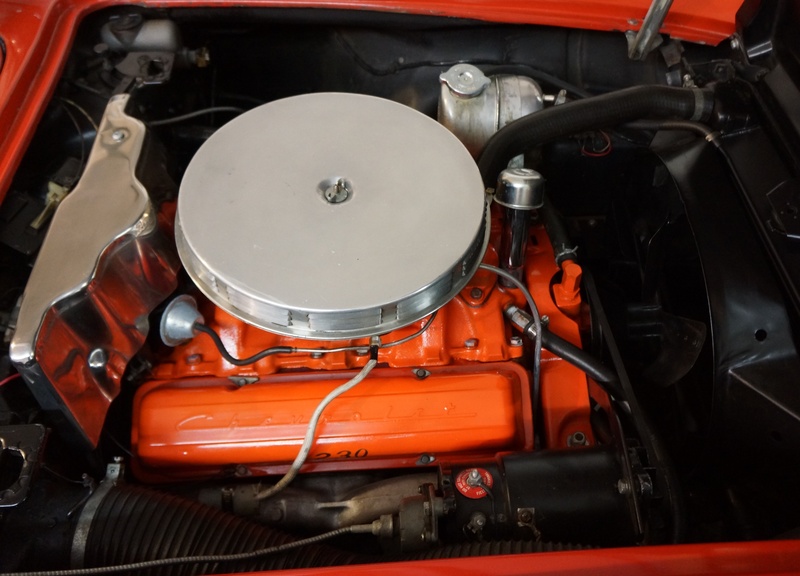 It’s been my good fortune to have participated in the collector car hobby by attending car shows, working on restorations, and driving in rallies. Throughout these adventures, I’ve met many similar-minded men and women. As I’ve gotten to know my fellow enthusiasts, their stories have come out. I’ve realized that this hobby is really about its participants. Old cars, by definition, have a history to them, and every owner knows at least some of the story behind their car, and is usually happy to share it. A while back, while chatting with some friends at a show, it hit me: I was enjoying the conversations and camaraderie more than I was enjoying the sight of their 1960-something Sport-mobile. I asked myself “why isn’t someone capturing these tales, and putting them out for others?” In fact, there have been some attempts to do that; however, from my observation, these efforts have been scattered, and still put too much focus on the machinery and not the personality. This is the first installment of a new blog series called “Collector’s Corner”. The plan is to make this a semi-regular feature on the blog. If you know of anyone who might be interested in participating, or if you yourself would like to be featured, please let me know. About this week’s featured collector: I’ve known Bill Whited professionally and personally for over twenty years. He is a warm, engaging man, and passionate about the automotive business and hobby. 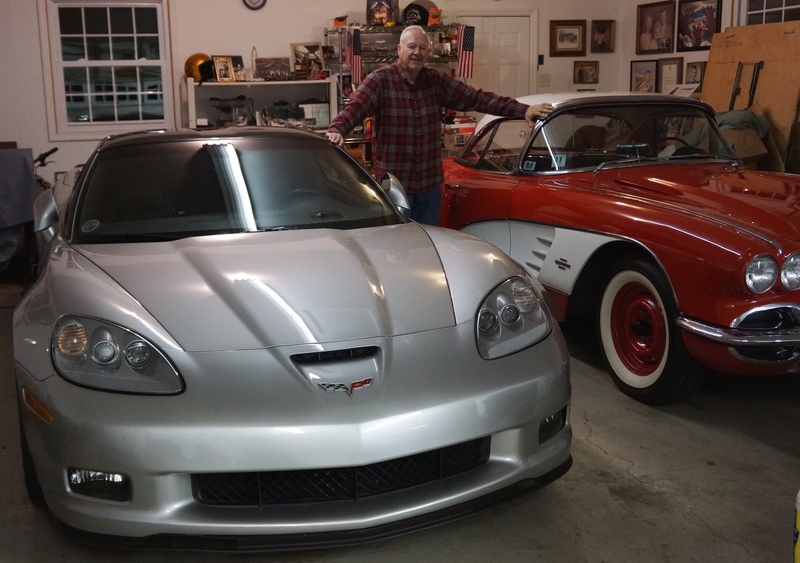 One evening several weeks ago, he graciously invited me to his north Jersey home, and we sat and spoke about his lifelong involvement with cars. Below are excerpts from our conversation. We welcome your comments and questions. What is your earliest memory related to cars? My mom told me that my first word as a baby was “car”. I grew up without a dad, so I had no influences from anyone else except TV. I remember the TV show Bonanza with those Chevrolet commercials. I aspired to those cars, especially the Corvette, thinking that I could never afford one. What do you remember about the family cars from your childhood? I remember when I was about six years old, my mom and my uncle took me to the local Chevy dealer. My mom was going to buy a new Chevrolet. I gravitated to a beautiful black Bel Air. But my mom got the 210 model. That was the in-between model, not a 150, but it wasn’t a Bel Air either. It was pink, like a salmon color, with a white top. It was a 6 cylinder, with Powerglide, no power steering, and no power brakes. When I turned 17, I got my mom’s car, and that became my first car. By that time it was battleship grey, after I had convinced my mom to go to Earl Scheib for a paint job! Which cars followed your first car, that ’57 Chevy 210? My first job was in a local department store, and my grandmother had passed, so I had a little money from her. At 17, my mom and I went back to the local Chevy dealer. I picked out a used 1963 Impala SS, royal dark blue, with a 283 V8. I kept that for about a year. When I was a senior, I flipped that one for a ’65 Impala. 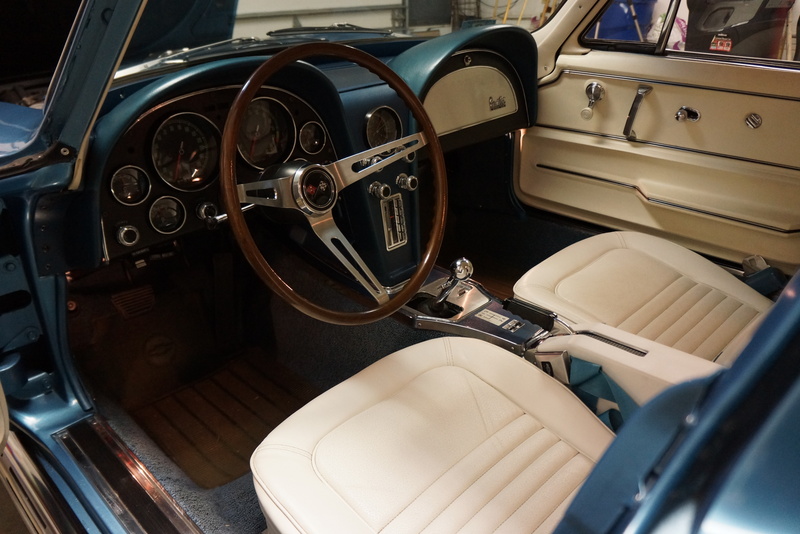 The ‘65 was not an SS; it was yellow, with a bench seat! My mom would finance the cars for me. After high school I went to Bergen Community College in Paramus, NJ, and was working after school at UPS. I traded in the ’65 for my first Corvette, a 1966 convertible. Again, my mom was along with me, co-signing for it. So at 19, I’m already on my 4th car. 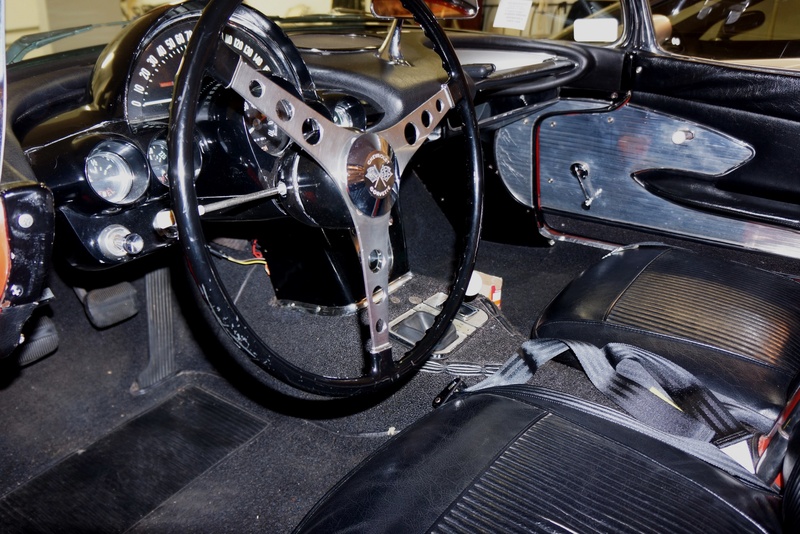 The Corvette was maroon with a saddle interior, with a 327/350 and a 4-speed. Of course, I blew the motor racing someone on 9W. At the time, GM had a parts warehouse in Englewood NJ. A friend ordered a replacement block, 327/375 solid lifter motor for $350! During my second year of college, I was called up to the National Guard. Just before leaving for Louisiana, I was driving in the snow and had an accident. 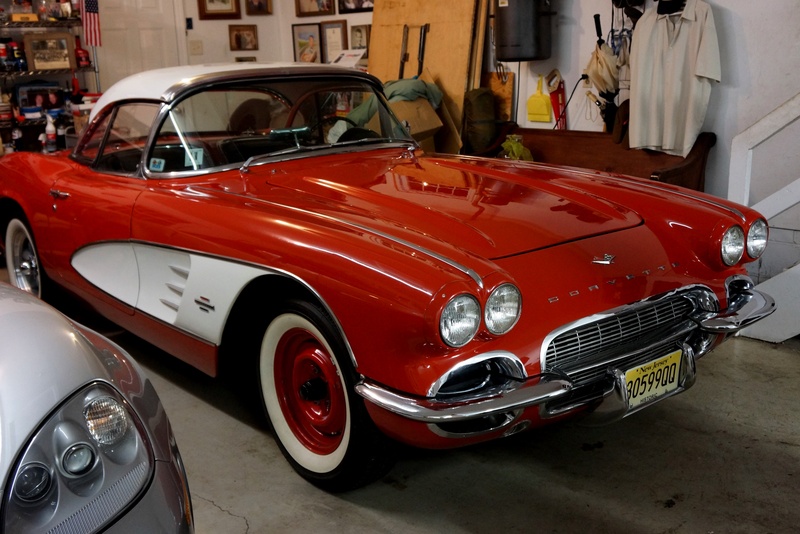 In those days, you put snows on and drove year-round; the Corvette was my everyday car. I limped the car home, and left it with my friend’s gas station to be fixed. I was away for 5 ½ months, and when I got back, it still wasn’t finished. I got back from the Guard, finished college, and was introduced to the car business. I started with 25 others on the sales floor of this Ford dealership. At the same time, I had part-time job at a Buick dealer running parts, and from their used car lot I bought a 1966 Opel Kadett, with the fenders falling off. I had the Corvette AND the Kadett – two cars at this young age. I had no money, but I had cars! Tell us about your start in the automotive industry. In late 1972, at the age of 22, I had been at the Ford dealer for about 9-10 months. I was already the third-best salesperson by volume, so I got to pick out my first demo. The 1973 models were just coming out, and I picked a brand new Gran Torino Brougham. I was living at home, saving my money, and driving a dealer demonstrator. But I didn’t like the Ford dealer, because they wanted you to lie to customers. I thought perhaps I’d try to sell foreign cars. So I interviewed at Bergen Volvo. During the interview, I asked about a demo, and was told “no company cars”. I told him, if there’s no demo, then I guess I’ll stick with Ford, but you’re missing out on the best salesman you could hire. By the time I got home, my mom said that the dealer had called back, and they said we’ll give you a demo, but you need to prove you can sell. And I did. That first demo was a Volvo 164E, powder blue, with a stick shift. In the meantime, did you still have the ’66 Corvette? Yes, I kept the Corvette for seven years, but as soon as I sold it, I regretted it. 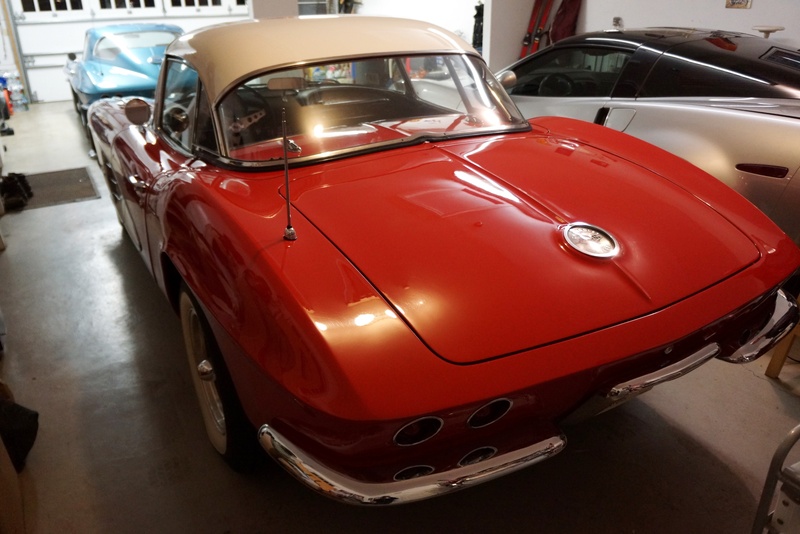 There was someone around the corner from me who had a 1962 Corvette, fawn exterior and interior, 327/340, 4-speed, 2 tops, all original. I bought that car for around $2,500. Because I had dealer demos, these Corvettes were just fun cars, weekend cars. What’s in the garage right now? 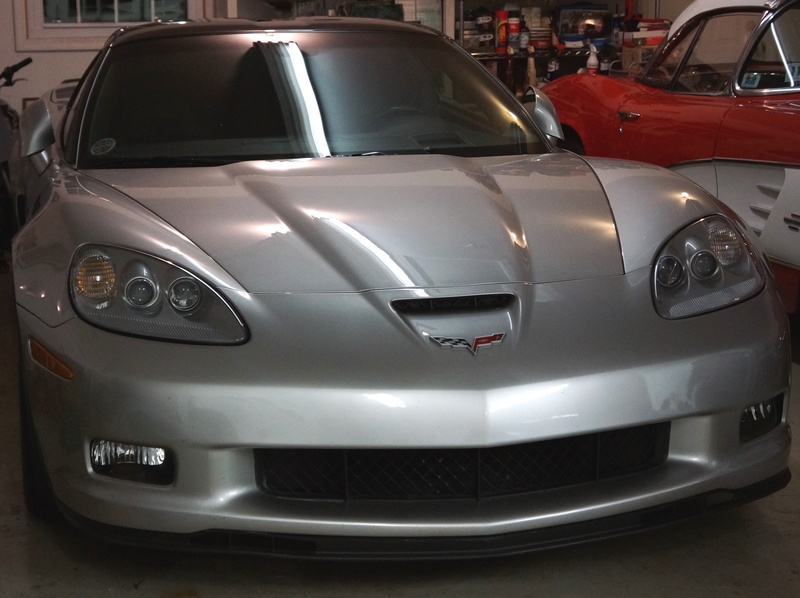 Right now, I have three Corvettes in the garage; I love my Corvettes! It’s a small collection. I learned my lesson, because in the early ‘90s, I had up to 11 cars, which was too many! Some may love to have that many; after all, everyone is different. For me, less is more when it comes to multiple car ownership at one time, because I enjoy driving them, and it takes quite a bit of upkeep to keep the cars right. 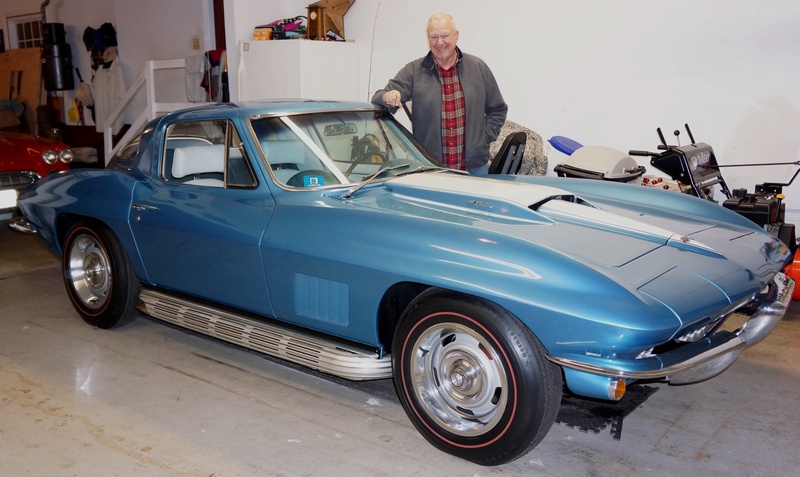 First: I have a 1967 Corvette coupe, in blue, with a 427/400 tri-power. I‘ve owned this car since 1993. It’s a matching numbers original car. I found this one in Hemmings; the car was in Massachusetts. The car was advertised for $36,500. The restoration was eight years old. The market had taken a downturn at that time. Two years earlier, an appraiser had appraised it for $65,000. I drove up, looked at every number on the car, and it was all legit, so I bought it. In 2015, a friend suggested that I show this car at the AACA meet in Hershey. I’ve never been a ‘show car’ kind of guy. 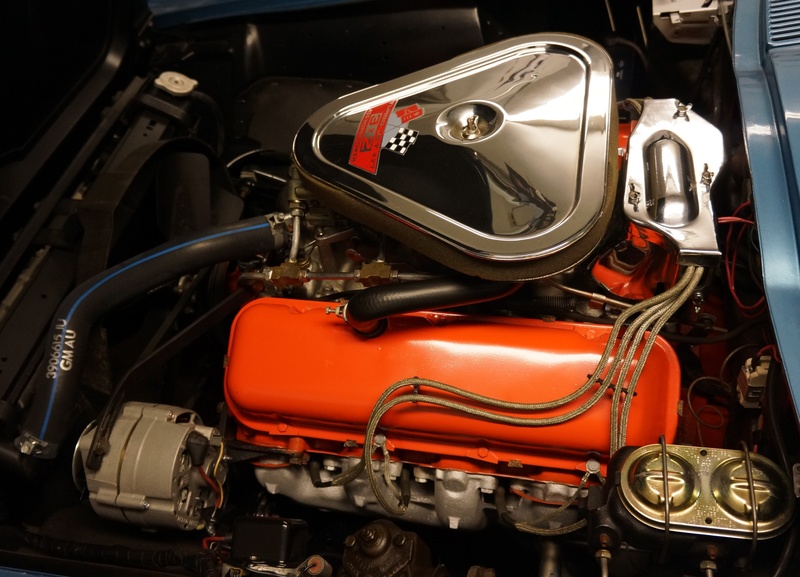 The outside looked pretty good, but I had never detailed the engine compartment, so I cleaned that up. I drove it out to Hershey, and lots of people were looking at the car. The class of cars was a tough one: all ’63-’67 (C2) cars. To my surprise, the car got a 3rd Junior its first time out. The best part of the show was when someone questioned the color of the crossed-flag emblems. The question was “shouldn’t they be white, not black?” At that moment, a fellow came up to the car who happened to be the guy who restored the car. He verified that the emblems were never replaced, and that the originals were black, the way they were supposed to be! The second car in my current collection is my 1961 Corvette. It’s my 5th solid-axle (C1) car. When I had sold my business, I had a ’61 which I had owned for about 10 years. I sold it in 2012, but I missed having a C1, so I started looking for another. I like the ’60 to ’62 cars, those are the sweet spot for me. I drove to Maryland to look at a car, but a lot of things weren’t right on it. I drove to Forked River NJ to see another, but it had the wrong motor, it was more like a drag strip car. Then I found one on eBay, slightly underpriced, a ’62 with a 327. This car was in Boston and I decided to take a look. I was halfway there when the seller called me to say that someone had given him his “Buy It Now” price. By now, I was frustrated. Meanwhile, my wife was looking for a certain kind of sponge for a decorating project. I took her around to some stores, but she couldn’t find the sponge she needed. I decided to try an auto parts store near me in Wykoff. At the store, I noticed a sign in the store window: “1961 Corvette for sale, call Tony”, with no price. I asked inside the store, and they knew Tony. He and the car were right around the corner. We went to look at the car, and within 20 minutes, I bought it. After all that time, I found my car right around the corner from me. I’ve had it for about a year and a half, two years. My third Corvette is a 2006 Z06, which I bought in 2014. It’s my fourth Z06. I missed my other ones, so I went on the hunt and found this one online on AutoTrader. It was in Westchester County NY. It was a two-owner car. The Carfax showed that a police report had been filed after someone backed into the car, which cracked the headlight and scraped the front bumper cover. The previous owner replaced both, and there was no obvious damage. I made him an offer, we negotiated a bit, and I got the car. The car has its original paint in Machine Silver Metallic. I have a copy of the build sheet and the window sticker, showing a list price of $72,000. 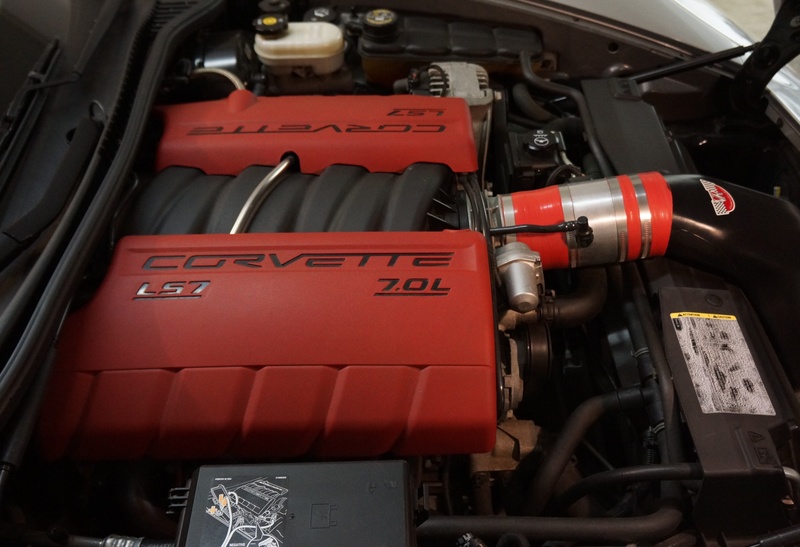 This was the first year of the C6 Z06; 2004 was the last year of the C5 version. That one had 405 horsepower, and this one is 505 horsepower. It’s only available with the six speed manual transmission. It’s a light car, with a full aluminum frame, carbon fiber front fenders, and floorboards of balsa wood sandwiched with carbon fiber. GM had a recall on the 2006 roof panels; the glue that bonded the roof was bad, and roofs were actually flying off the cars. 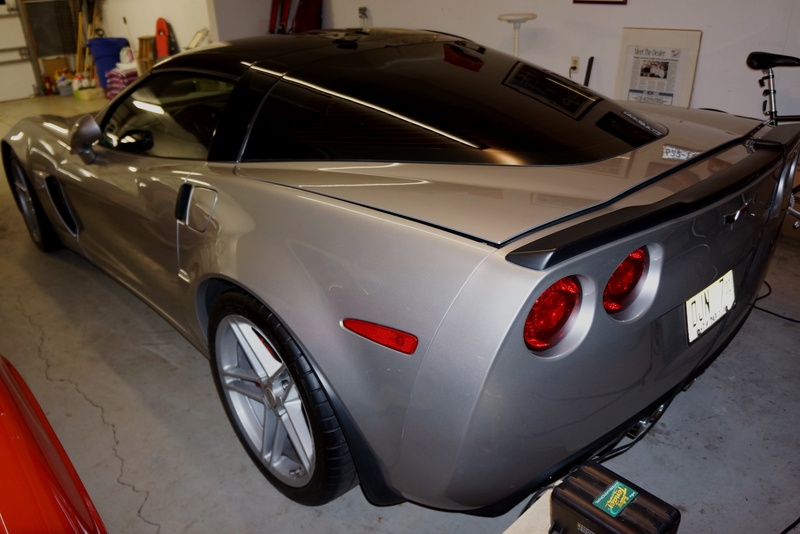 The previous owner had the recall done, and since the dealership had to remove the roof, he had it painted in dark grey metallic (along with the band behind it) to duplicate the ZR1 that came out in 2009. The full rear spoiler is also not stock; it’s in flat black, again, like the ZR1 model. Bill, any final words for us? I have been blessed by God to have been able to purchase all these cars over the years as He guided me in my automotive career. For 40+ years as an auto dealer I’ve had the luxury of being able to afford my dream cars. Thank you Lord for all your blessings, and thank you, Richard!